The Android Debug Bridge (ADB) is a useful tool for developers to communicate with emulator instance and connected Android-powered device. It also works with Android-x86 virtual machine saving a lot of time when transferring files and installing apps on Android VM from computer. Open VirtualBox, go to Settings > Network. Under Adapter 1, click Advanced and then Port Forwarding. 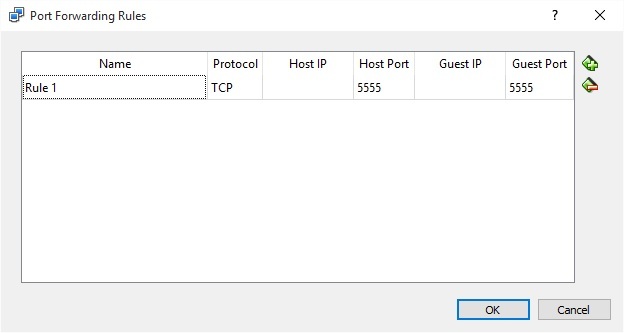 Create a new rule with Host Port: 5555 and Guest Port: 5555. Click OK to save. Now ADB has connected the Android VM. You may install/uninstall with the following commands. 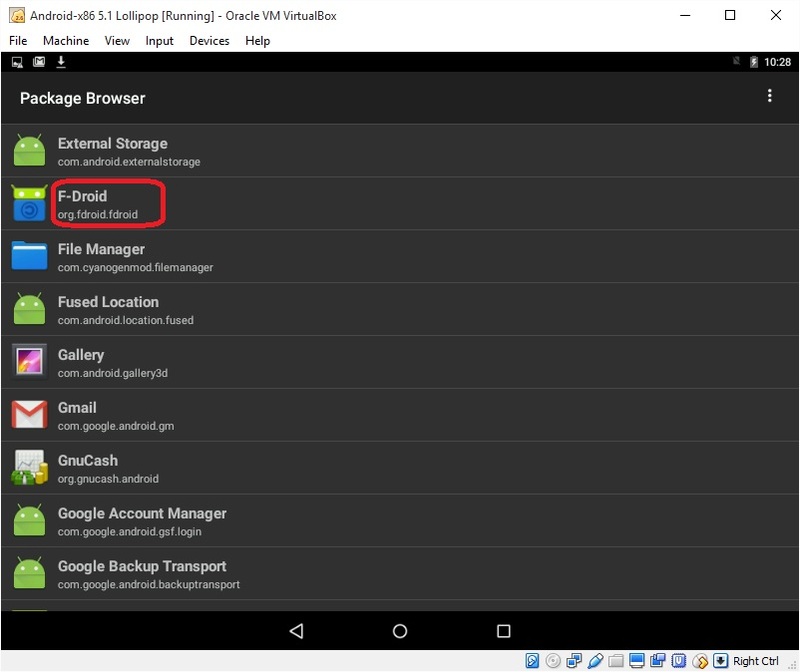 You can check all installed package name on Android VM in Dev Tools > Package Browser.